Soldiers have found one of the girls kidnapped by Boko Haram from a boarding school in Chibok town, her uncle said Wednesday, describing her as pregnant and traumatized but otherwise fine. Amina Ali Nkeki is the first of the 219 so-called Chibok girls to be freed since the mass abduction that grabbed attention around the world more than two years ago. Community leader Pogu Bitrus says other Chibok girls may also have been rescued by soldiers hunting down Boko Haram in the remote northeastern Sambisa Forest on Tuesday night. He said he was working with officials to establish their identity. 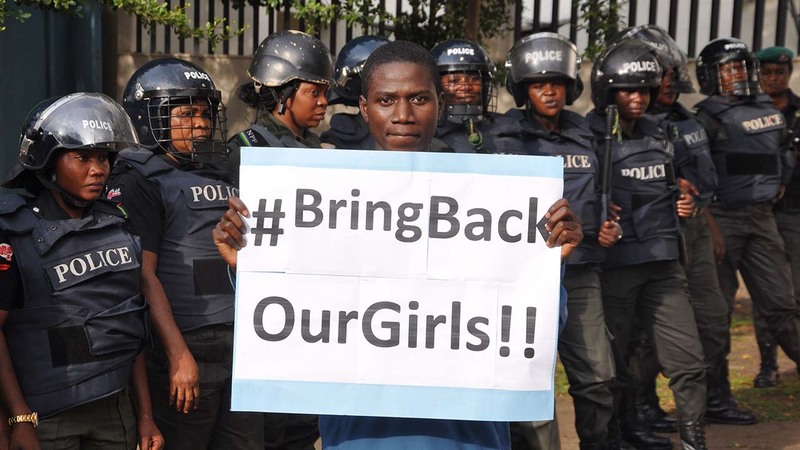 Boko Haram Islamic extremists stormed and firebombed the Government Girls Secondary School at Chibok on April 14, 2014, and seized 276 girls who were preparing to write science exams. Dozens escaped within hours, but 219 remained missing. Yakubu Nkeki says his niece was found wandering in the forest. He says the 19-year-old - she was 17 when she was abducted - was brought to Chibok Tuesday night for her identity to be verified and reunited with her mother. But her father died while she was held captive, he said.